This 2014 Hyundai Santa Fe Sport 2.4L in Bronze features: FWD LOCAL TRADE!, Buy Happy!...its the Wilson Way!. 20/27 City/Highway MPG Awards: * ALG Residual Value Awards Come look it over in person at Wilson Auto Group on Lakeland Drive in Rankin County near Dogwood Festival Mall. Go to our website at https://www.wilsonautogroup.com Or call us right now at (601)914-4200 Buy HAPPY...its the Wilson Way! This 2018 Hyundai Elantra SEL in Lakeside features: Clean CARFAX. 28/37 City/Highway MPG CARFAX One-Owner. Come test drive it at Wilson Premier Hyundai at the corner of I-55 North and Steed Rd in Madison Co...across from Renaissance/Highland Colony Parkway. 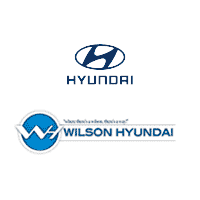 Visit https://www.wilsonpremierhyundai.com or call (601)856-NICE....that's (601)856-6423. This 2018 Hyundai Santa Fe Sport 2.4 Base in Sparkling Silver features: Clean CARFAX. Priced below KBB Fair Purchase Price! 21/27 City/Highway MPG CARFAX One-Owner. Come test drive it at Wilson Premier Hyundai at the corner of I-55 North and Steed Rd in Madison Co...across from Renaissance/Highland Colony Parkway. Visit https://www.wilsonpremierhyundai.com or call (601)856-NICE....that's (601)856-6423. This 2017 Hyundai Tucson SE in White features: FWD Clean CARFAX. CARFAX One-Owner. 23/30 City/Highway MPG Awards: * 2017 KBB.com 10 Best SUVs Under $25,000 * 2017 KBB.com 10 Most Awarded Brands Come look it over in person at Wilson Auto Group on Lakeland Drive in Rankin County near Dogwood Festival Mall. Go to our website at https://www.wilsonautogroup.com Or call us right now at (601)914-4200 Buy HAPPY...its the Wilson Way! This 2014 Hyundai Santa Fe Sport 2.0L Turbo in Twilight Black features: FWD Clean CARFAX. CARFAX One-Owner. 19/27 City/Highway MPG Come look it over in person at Wilson Auto Group on Lakeland Drive in Rankin County near Dogwood Festival Mall. Go to our website at https://www.wilsonautogroup.com Or call us right now at (601)914-4200 Buy HAPPY...its the Wilson Way! This 2018 Hyundai Tucson SEL in Molten Silver features: Clean CARFAX. 23/30 City/Highway MPG CARFAX One-Owner. Come test drive it at Wilson Premier Hyundai at the corner of I-55 North and Steed Rd in Madison Co...across from Renaissance/Highland Colony Parkway. Visit https://www.wilsonpremierhyundai.com or call (601)856-NICE....that's (601)856-6423. This 2015 Hyundai Santa Fe Sport 2.4L in Mineral Gray features: FWD Clean CARFAX. CARFAX One-Owner. Odometer is 7275 miles below market average! 20/27 City/Highway MPG Come look it over in person at Wilson Auto Group on Lakeland Drive in Rankin County near Dogwood Festival Mall. Go to our website at https://www.wilsonautogroup.com Or call us right now at (601)914-4200 Buy HAPPY...its the Wilson Way! This 2015 Hyundai Sonata Limited in Phantom Black features: Clean CARFAX. Odometer is 14391 miles below market average! 24/35 City/Highway MPG CARFAX One-Owner. Awards: * 2015 KBB.com 15 Best Family Cars * 2015 KBB.com 10 Best Sedans Under $25,000 Come test drive it at Wilson Premier Hyundai at the corner of I-55 North and Steed Rd in Madison Co...across from Renaissance/Highland Colony Parkway. Visit https://www.wilsonpremierhyundai.com or call (601)856-NICE....that's (601)856-6423. This 2016 Hyundai Elantra GT in Silver features: FWD Clean CARFAX. 24/33 City/Highway MPG Awards: * 2016 KBB.com 5-Year Cost to Own Awards Come look it over in person at Wilson Auto Group on Lakeland Drive in Rankin County near Dogwood Festival Mall. Go to our website at https://www.wilsonautogroup.com Or call us right now at (601)914-4200 Buy HAPPY...its the Wilson Way! This 2015 Hyundai Santa Fe Sport 2.4L in Copper features: FWD CARFAX One-Owner. Odometer is 28529 miles below market average! 20/27 City/Highway MPG Come look it over in person at Wilson Auto Group on Lakeland Drive in Rankin County near Dogwood Festival Mall. Go to our website at https://www.wilsonautogroup.com Or call us right now at (601)914-4200 Buy HAPPY...its the Wilson Way! This 2017 Hyundai Santa Fe Sport 2.4 Base in Sparkling Silver features: FWD Clean CARFAX. CARFAX One-Owner. Odometer is 10722 miles below market average! 21/27 City/Highway MPG Awards: * 2017 KBB.com 10 Most Awarded Brands Come look it over in person at Wilson Auto Group on Lakeland Drive in Rankin County near Dogwood Festival Mall. Go to our website at https://www.wilsonautogroup.com Or call us right now at (601)914-4200 Buy HAPPY...its the Wilson Way! This 2015 Hyundai Santa Fe Sport 2.4L in Twilight Black features: FWD BALANCE OF FACTORY WARRANTY!, LOW MILEAGE!, LOCAL TRADE!, Buy Happy!...its the Wilson Way!. Clean CARFAX. 20/27 City/Highway MPG Come look it over in person at Wilson Auto Group on Lakeland Drive in Rankin County near Dogwood Festival Mall. Go to our website at https://www.wilsonautogroup.com Or call us right now at (601)914-4200 Buy HAPPY...its the Wilson Way! This 2017 Hyundai Sonata SE in Quartz White Pearl features: FWD CARFAX One-Owner. Odometer is 42275 miles below market average! 25/36 City/Highway MPG Awards: * 2017 KBB.com Best Family Sedans * 2017 KBB.com 10 Best Sedans Under $25,000 * 2017 KBB.com 10 Most Comfortable Cars Under $30,000 * 2017 KBB.com 10 Most Awarded Cars * 2017 KBB.com 10 Most Awarded Brands Come look it over in person at Wilson Auto Group on Lakeland Drive in Rankin County near Dogwood Festival Mall. Go to our website at https://www.wilsonautogroup.com Or call us right now at (601)914-4200 Buy HAPPY...its the Wilson Way! This 2017 Hyundai Ioniq Hybrid Blue in Electric Blue Metallic features: Priced below KBB Fair Purchase Price! Odometer is 25047 miles below market average! 57/59 City/Highway MPG CARFAX One-Owner. Awards: * 2017 KBB.com 10 Most Awarded Brands Come test drive it at Wilson Premier Hyundai at the corner of I-55 North and Steed Rd in Madison Co...across from Renaissance/Highland Colony Parkway. Visit https://www.wilsonpremierhyundai.com or call (601)856-NICE....that's (601)856-6423. This 2018 Hyundai Santa Fe Sport 2.4 Base in Pearl White features: FWD BALANCE OF FACTORY WARRANTY!, LOCAL TRADE!, ONE OWNER!, Buy Happy!...its the Wilson Way!. Clean CARFAX. CARFAX One-Owner. Odometer is 2700 miles below market average! 21/27 City/Highway MPG Come look it over in person at Wilson Auto Group on Lakeland Drive in Rankin County near Dogwood Festival Mall. Go to our website at https://www.wilsonautogroup.com Or call us right now at (601)914-4200 Buy HAPPY...its the Wilson Way!